If you have not signed in before, please request a user account. Please Note: Proposed orders must be filed as an exhibit to the lead document. E-filers are reminded that submissions received after 4:30 p.m. or on weekends and holidays will not be reviewed until the next business day. 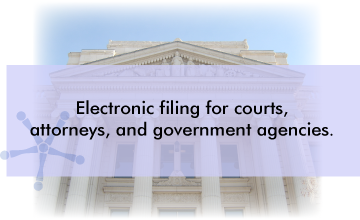 If the submission is approved, the file stamp will reflect the date and time the filing was electronically submitted by the e-filer. Or, send email to support - eflexSupport@washoecourts.us.